Description: Can the Bible be approached both as sacred scripture and as a historical and literary text? For many people, it must be one or the other. How can we read the Bible both ways? The Bible and the Believer brings together three distinguished biblical scholars--one Jewish, one Catholic, and one Protestant--to illustrate how to read the Hebrew Bible/ Old Testament critically and religiously. Marc Zvi Brettler, Peter Enns, and Daniel J. Harrington tackle a dilemma that not only haunts biblical scholarship today, but also disturbs students and others exposed to biblical criticism for the first time, either in university courses or through their own reading. Failure to resolve these conflicting interpretive strategies often results in rejection of either the critical approach or the religious approach--or both. But the authors demonstrate how biblical criticism--the process of establishing the original contextual meaning of biblical texts with the tools of literary and historical analysis--need not undermine religious interpretations of the Bible, but can in fact enhance them. They show how awareness of new archeological evidence, cultural context, literary form, and other tools of historical criticism can provide the necessary preparation for a sound religious reading. And they argue that the challenges such study raises for religious belief should be brought into conversation with religious tradition rather than deemed grounds for dismissing either that tradition or biblical criticism. Guiding readers through the history of biblical exegesis within the Jewish, Catholic, and Protestant faith traditions, The Bible and the Believer bridges an age-old gap between critical and religious approaches to the Old Testament. 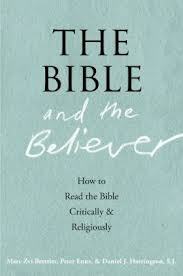 Citation: Greg Carey, review of Marc Zvi Brettler, Peter Enns, and Daniel J. Harrington, The Bible and the Believer: How to Read the Bible Critically and Religiously, Review of Biblical Literature [http://www.bookreviews.org] (2013). Citation: Rob Van Houwelingen, review of Marc Zvi Brettler, Peter Enns, and Daniel J. Harrington, The Bible and the Believer: How to Read the Bible Critically and Religiously, Review of Biblical Literature [http://www.bookreviews.org] (2014).